Your skin's future is yours to define. This advanced multi-functional day cream enhances the power of the skin's defenses, helping to protect against environmental stressors. This rich cream reduces the appearance of wrinkles, pores and dullness while revealing skin that looks resilient, moisturized and radiant. The pampering, luxurious formula melts into skin, accelerates age-defending benefitswith exclusive Skingencell 1P to help provide powerful protection to skin with premium Sansho Extract, and is formulated with Uji Green Tea Extract, Star Fruit Extract and SPF 20 for powerful skincare benefits. 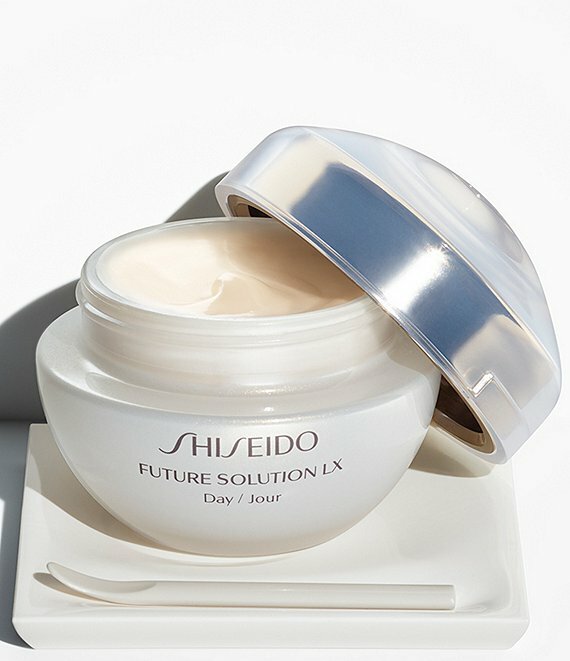 How to Use: Apply every morning as part of your Future Solution LX beauty regimen.